By Hazel Chua on 09/12/14 • Leave a comment! Most people can’t stand to be without their mobiles these days– whether it’s for work, school, or play. Thank goodness for power banks, right? If you’re still on the lookout for an alternative solution, then you might want to check the Phorce smart bag out. 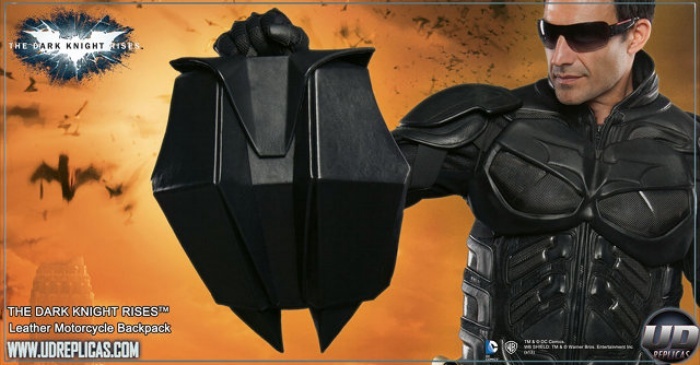 It’s basically a bag and power bank rolled into one. Aside from having ample space to carry your stuff, it also comes with a built-in battery that clocks in at an impressive 26,000 mAH. That’s enough juice to charge your smartphone 10 to 12 times and enough power to fully charge your laptop once! Get to where you’re supposed to be fast and in one piece with Movpak. You could be on that board for years but still lose your balance if you’re carrying a particularly heavy backpack. 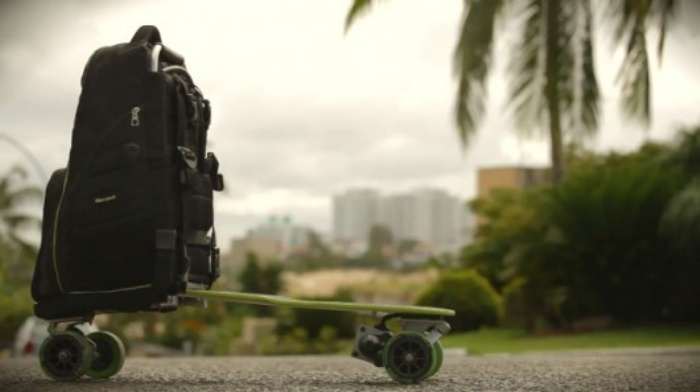 Cue the Movpak, which is a cross between a backpack and an electric skateboard that solves your problem of finding a truly portable, convenient, and eco-friendly way of commuting. The Movpak is capable of speeds of up to 15 mph and has a range of 9 km on a single charge. It comes with a wireless remote which features one-touch options for speed controls, brake, and reverse. Using it is so easy that its makers claim you can hop on a board and master it in about 10 minutes. Now isn’t that impressive? By Hazel Chua on 08/15/14 • Leave a comment! So you’re tired and feel like taking a nap in the middle of nowhere. 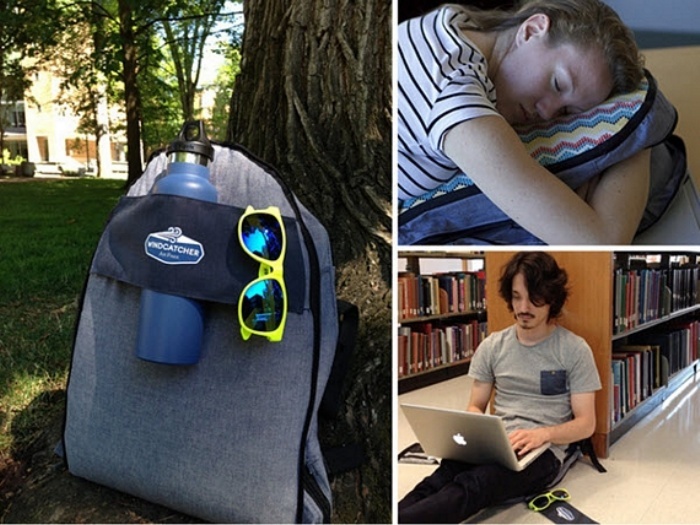 You’ll have no problem getting comfortable with the Windcatcher Air Pakk, as it’s a backpack that doubles as a pillow when you need one the most. It also transforms into a seat pad so you can sit in comfort, even when you’re seated on the floor or on rough surfaces that might not be very tush-friendly. As if that’s not enough, the Air Pakk also turns into a sleeping pad when you really need to catch some Zzz’s and there’s no bed in sight. The coolest part is that the bag self-inflates, so you don’t have to lug around a pump, or worse, have to inflate it manually. Nothing beats lying back on a hammock with little to no cares in the world, as a gentle breeze blows to keep you cool and comfortable. Unfortunately, thoughts of lying on a hammock remain just that–thoughts–unless you’re the type who takes one with you wherever and whenever. That’s not always a very practical thing to do, what with the added bulk and weight, unless you’ve got one of these HackedPacks. As the name implies, these backpacks have been hacked. 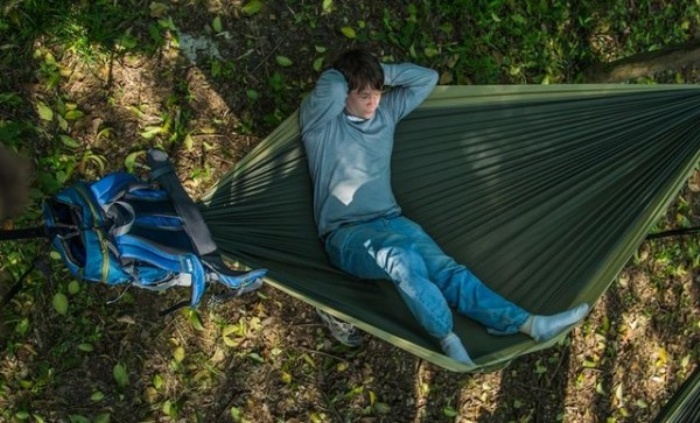 Aside from having enough space to carry all of your gear, it also has a built-in hammock crammed into it. By David Ponce on 08/05/13 • Leave a comment! 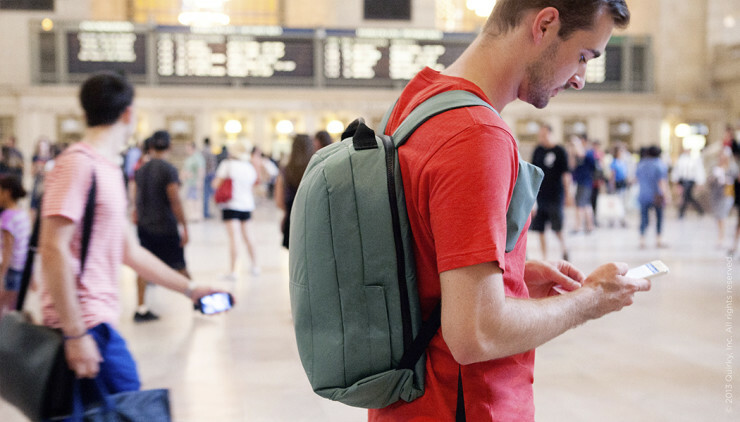 If you ask around in your circle of friends, you’re pretty likely to find at least one person who’s had stuff stolen right out of their backpack, either while traveling or even just while taking public transport. Pickpockets are of course more common in some countries than in the States, but that doesn’t mean that buying the Anti-Theft Backpack is only a good idea if you’re planning on backpacking it through Europe. It features a main zipper that is pressed up against your back, making it harder for someone to sneakily open it without you noticing. And there are quick-access pockets covered with noisy velcro which become an audible alarm when unauthorized access is being sought. Finally, there’s a Zip Pouch located on the shoulder strap for quick phone access. 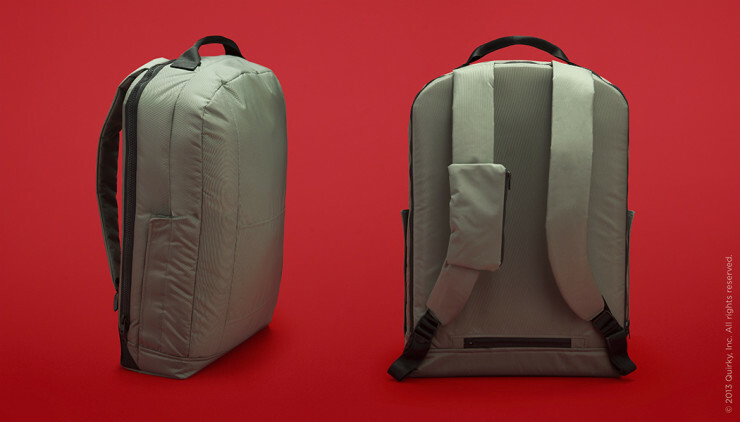 The backpack is currently sitting in the Upcoming portion of Quirky, a website where designers submit ideas and where only certain products end up being made by the company. Depending on support, the Defender (the current proposed name) may or may not see the light of day at a proposed price of $24. If this seems to be for you, head on over to the link below and show your support. By Hazel Chua on 10/01/12 • Leave a comment! In this day and age, there’s really no such thing as having too much space. You’ve probably accumulated a whole lot of crap stuff over the years and renting storage spaces nowadays isn’t really as cheap as it used to be. So why not pack on more of your baggage into your furniture? 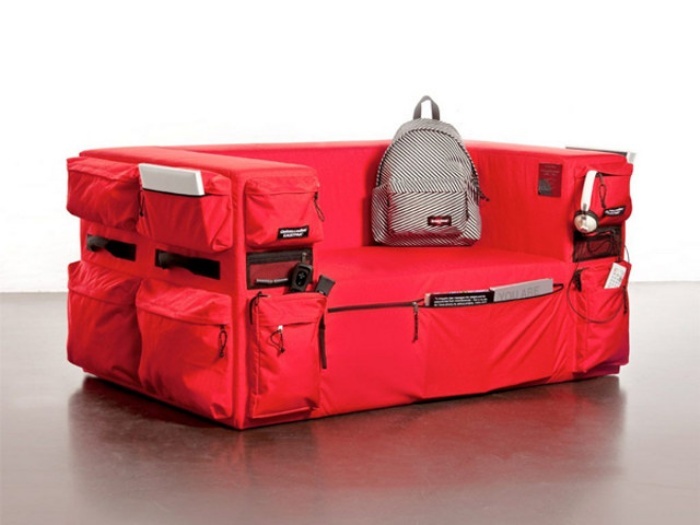 It’s normally impossible to do so but not if you’ve got the Eastpak Sofa. It’s covered in the same material that your backpack is made from and then some. That’s because the sofa looks like it’s got a couple of backpags and pouches sewn onto it to make space for all the little things that you haven’t found an alternative space for. Magazines? Pens? Remote controls? Headphones? Even random foodstuffs like candy and gum? There’s room for all that and more on the Eastpak. Your chair, your rules. Hit the break for a couple more images of the sofa followed by links on where to get it!